The CDC’s Nutrition Report concludes that Americans are seriously lacking specific key nutrients. With the influx of diet trends and readily available unhealthy food choice, a reported nine out of 10 Americans don’t have balanced diets. Common nutrient deficiencies such as calcium may cause you to overeat, feel fatigued, and can lead to long-lasting health issues. Issues can include anemia, depression, lowered immune system, and more. If you’re feeling unusually sluggish or tired and have ruled out other issues with the doctor, you may suffer from a nutrient deficiency. 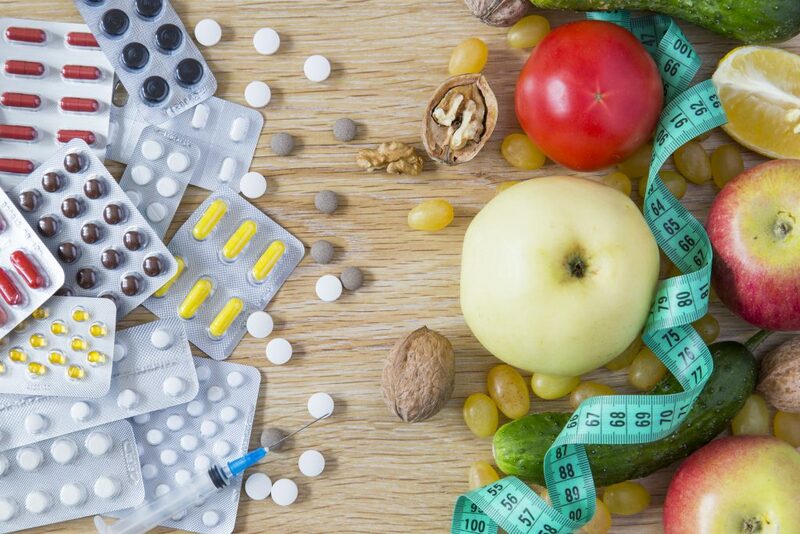 Here is a guide to preventing and recognizing the most common nutrient deficiencies – deficiencies in calcium, vitamin D, iron, folic acid, and vitamin B12. What is calcium and why is it important? Calcium is an essential mineral, known best as being important for strong bones. Calcium is also important for nerve and muscle function, and for heart health. Calcium is stored in our bones. When we don’t consume enough calcium, the calcium we need is “withdrawn” from our bones. Without good bone stores of calcium, bones can become weak, and are more likely to break. Who is at greatest risk for calcium deficiency? Most people do not consume enough calcium. However, people with parathyroid conditions, anyone who has had gastric bypass surgery, and people who drink a lot of cola or who are taking certain medications are at greater risk for calcium deficiency. Eating three servings of dairy products (milk, yogurt or cheese, for example) per day will meet the recommended daily intake of calcium. Calcium is also found in sardines, calcium-fortified orange juice and dark green leafy vegetables. Calcium supplements are available over-the-counter but should be taken with caution. Excessive calcium from supplements can cause heart and kidney problems. Vitamin D is a fat-soluble vitamin. It is unique in that most vitamin D is made in our bodies (as opposed to being consumed from food) when the skin is exposed to the sun. Vitamin D regulates calcium absorption. Without adequate vitamin D, it doesn’t matter how much calcium you’re consuming, as it wouldn’t be usable in your body. Vitamin D deficiency causes rickets in children and osteomalcia in adults – both conditions of weakened bones – bones that are more likely to break or be deformed. Who is at greatest risk for vitamin D deficiency? Anyone who lives in the extreme latitudes (towards the north and south poles), or who otherwise may not have enough sun exposure (and do not consume enough vitamin D fortified food), is at risk for vitamin D deficiency. The increasing concern about skin cancer has us all slathering on the sunblock and avoiding the strong, mid-day sun. By preventing ultraviolet light from reaching the skin, these sun protective measures help to prevent melanoma (a type of skin cancer). However, blocking the ultraviolet light also impairs the body’s ability to make vitamin D.
Try to find a balance between getting too little and too much sun. If your skin is starting to turn pink, you’ve gotten too much sun. If you can not tolerate much sun, you can get vitamin D from fortified dairy products and cereals, fatty fish and egg yolks. Testing for vitamin D deficiency has become a common practice. Iron is a mineral found in both plant and animal foods. Our bodies best absorb the iron that is found in meat, poultry and fish. Iron from plant foods, especially beans and lentils, is less well absorbed by our bodies, but still an important source of iron. Iron deficiency can cause anemia, which may make physical activity especially exhausting. Anemia can cause significant problems in pregnancy, and, in children and teenagers, may impair brain development. Who is at greatest risk for iron deficiency? Iron deficiency can be caused by blood loss that happens suddenly (as in the case of an accident) or more gradually (as in the case of stomach ulcers or heavy periods). Women and children seem to be at the greatest risk for developing iron deficiency and iron deficiency anemia. Other people more likely to develop iron deficiency are people with certain stomach or intestinal conditions that either cause bleeding, or reduce the absorption of iron from food. Anemia can cause general fatigue, headaches, dizziness, shortness of breath and chest pain. Iron levels are routinely checked during pregnancy so that any iron deficiency can be diagnosed and treated before pregnancy problems develop. Folic acid is one of the many B vitamins, and plays a role in maintaining healthy red blood cells. Folic acid is particularly important during pregnancy. Women with low folic acid stores have a greater chance of having a baby with a neural tube defect (like spina bifida). Outside of pregnancy, folic acid helps prevent anemia and heart disease. Who is at greatest risk for folic acid deficiency? Most of the folic acid in our diet comes from fresh fruits and vegetables. People who do not eat enough fruits and vegetables, or who overcooked their vegetables, are at the greatest risk for developing folic acid deficiency. People who drink a lot of alcohol, or who take certain medications, are also more likely to be folic acid deficient. How do I know if I am getting enough folic acid? If you are not getting enough folic acid, you may experience symptoms similar to those caused by iron deficiency. Foods rich in folic acid include eggs, leafy green vegetables, fruits, and dried beans and peas. Other foods, such as breads, pastas, and cereal have are fortified with folic acid to help ensure that we all get enough folic acid. Vitamin B12 is one of the eight B vitamins. Vitamin B12 comes in many forms, called colbalamins, and helps to form red blood cells. Vitamin B12 also enhances neurological function, and provides building blocks for DNA, as well as for many hormones and proteins. Who is at greatest risk for vitamin B12 deficiency? Vegans (who eat no animal products whatsoever), people with certain intestinal problems that limit vitamin absorption, and older adults are at highest risk for developing vitamin B12 deficiency. How do I know if I am getting enough vitamin B12? Symptoms of vitamin B12 deficiency are similar to those of anemia. Food sources of vitamin B12 include meat, fish, poultry, eggs and dairy products. Vitamin B12 can also be found in fortified cereals. Concerned that you may have a vitamin or other nutrient deficiency? Your health care provider can test your levels of vitamin D, folic acid, vitamin B12, iron, and calcium. Getting nutrients from you diet is preferable to taking supplements. A diet that includes a variety of fruits and vegetables, whole grains, and lean proteins, while limiting saturated fat, sugar and salt, should provide adequate nutrition for most people. Supplements containing calcium, vitamin D, iron, folic acid, vitamin B12 are available either alone, or in multivitamin formulas.